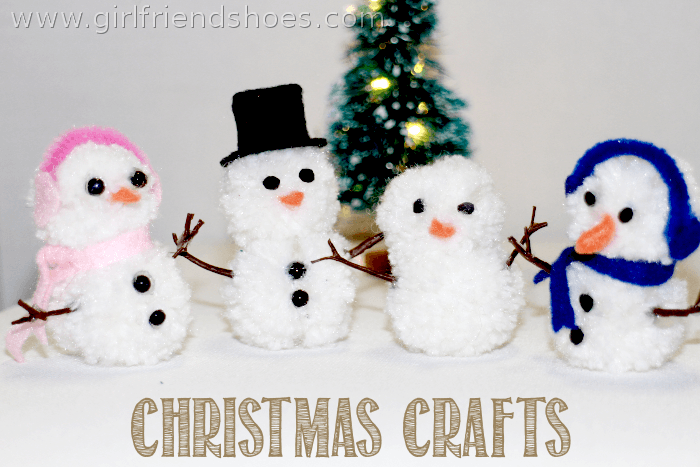 I’ve wanted to try to make my own pom poms and decided that I wanted to make them into cute snowman ornaments. I haven’t decided yet if I want to place them into a nice Christmas scene when I decorate or if I want to hang them on the Christmas tree. I think they would be really cute on a regular sized tree, mine is a mini tree and might be too tiny for these cute little guys. First, you need to make some pom poms out of yarn. It’s very easy. 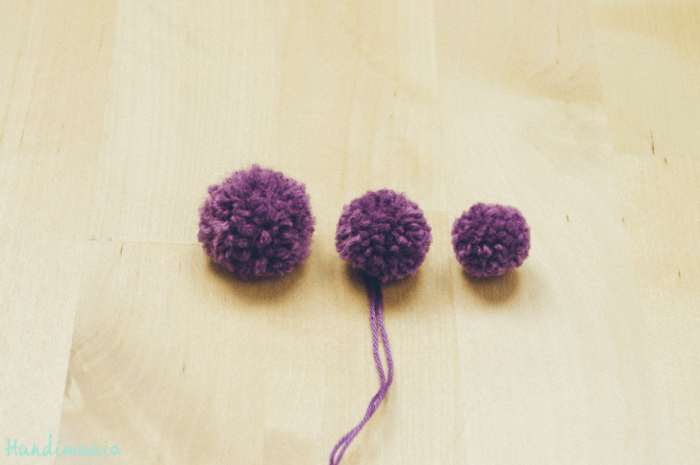 Over at Handimania there are easy to follow picture instructions to make yarn pom poms. Once you have your poms ready the rest is up to you. I used felt and pipe cleaners for the ear muffs, scarves and hat. I colored tiny googly eyes with a black sharpie for the black buttons and eyes. Orange felt for the noses and hot glue gunned everything in place. I cut off some twig arms from some of my fall crafts and it worked perfectly. As I was watching T.V. one night I sat and made pom poms. 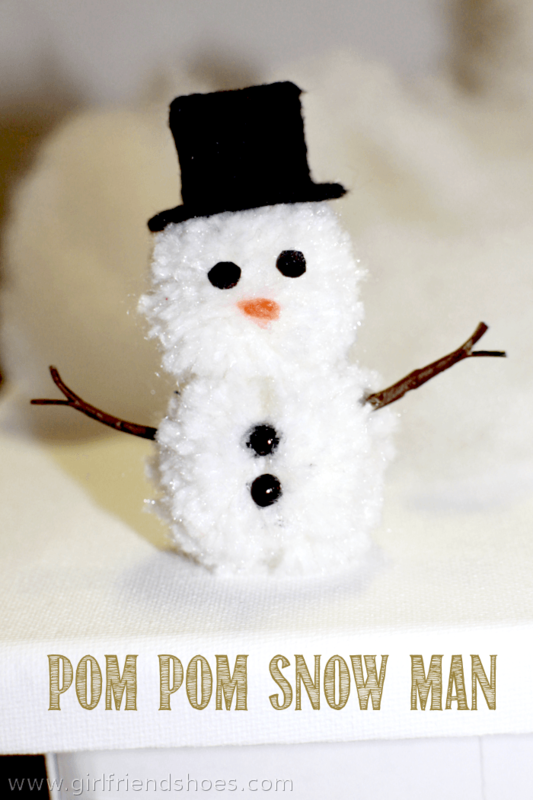 I have many more pom pom creations in mind. 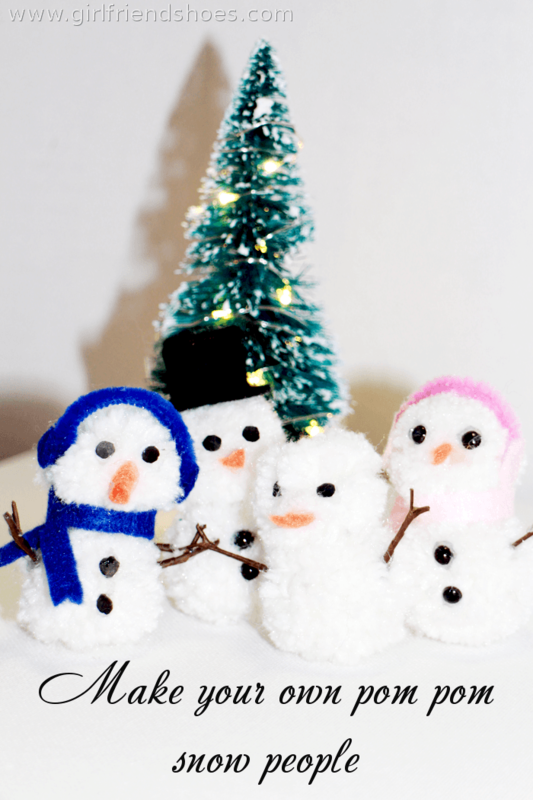 Don’t you think these snowmen are adorable? So what would you do, create a winter scene or hang em’ from the tree?